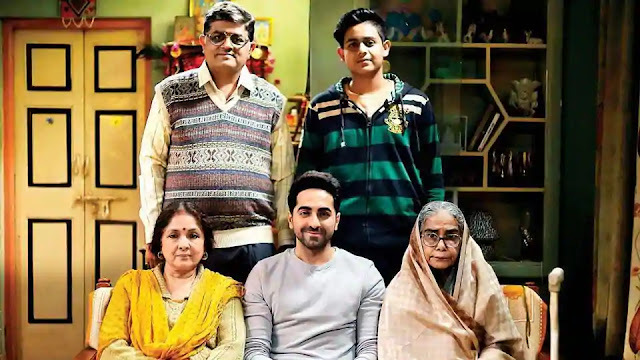 'Badhaai Ho' Movie Review Ayushmann Khurrana Outstanding Acting: The perfect age of childbirth tells 'Badhaai Ho ', Ayushmann Khurrana acting won the heart. 'Badhaai Ho!' is a funny movie and the topic of this movie is completely different. Please that you are working after college and planning to settle life with your girlfriends. Your father is now close to retirement. Then suddenly you will know that your mom is pregnant and another young person is going to come home, what will be your reaction? The film released on the occasion of Dussehra, 'Congratulations,' is also the story of Nakul Kaushik (Ayushmann Khurrana), a similar boy from Delhi, who with his girlfriend Rene (Sanya Malhotra) who worked with him in the office planning to settle down with her. Suddenly one day Jitendra Kaushik (Gajraj Rao), who works for TT in the Indian Railways, tells him that his beloved (Nina Gupta) is pregnant. Of course, this is shocking news for the other members of his house, including his niece, his grandmother (Surekha Sikri) and his younger brother Guular, and all of them do not understand that they have relatives and neighbors from the news how to cope with them. Due to this pregnancy of old age Kaushik Family has to become a joke everywhere. Today, Nakul used to make fun of his friends Nakul today, he is compelled to steal his eyesight with them. And in this, all the condition, Nakul's breakup from his girlfriends. After all, how do Nakul and his family handle this fun situation and how does he celebrate his girlfriend and his mother? Of course, you have to go to the theater to find answers to all these questions. 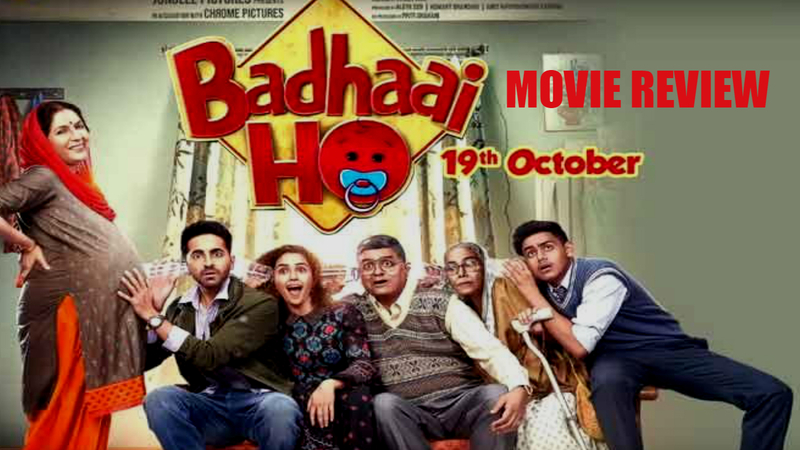 Ayushmann has proved himself, due to which he is a natural choice for such films in the mind of producers. On the other hand, Surekha Sikri has put her life in the role of Ayushmann khurrana grandmother. After a long time, there has been such a powerful mother-in-law on the big screen that keeps the whole family intimidated. In the role of Papa and Mummy, Gajraj Rao and Nina Gupta have been tremendous. Gajraj and Neena Gupta have done extremely amazing acting while keeping emotions in their face throughout the film. Seeing Shukra Gajraj, you will remember some of your shy uncles. On the other hand, Nina Gupta has also played the role of an elderly pregnant lady. At the same time, Sania Malhotra has done a great acting in 'Badhaai Ho'. She is very frustrated with the role of a girl who belongs to the Elite Class Society of Delhi. Sheba Chadha is also fine in Sanya's mother's role. Apart from these, the other small characters of the film are also fantastic.